aka Plaza Theater - Burlington. Opened in 1940. 7 7 comments have been left about this theater. 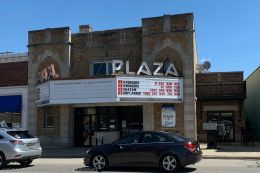 This movie theater is near Burlington, Lyons, Honey Creek, Rochester, Springfield, New Munster, Kansasville, Wind Lake, Waterford, Powers Lake, Genoa City.